Today, August 1st only, BestBuy.com where you can now buy this highly rated Rug Doctor Portable Spot Cleaner for only $99.99 shipped (regularly $149.99). This spot cleaner makes it easy to touch up carpets, area rugs, and stairs. It features a motorized, handheld brush with 12 amps of power to help eliminate spots and stains. 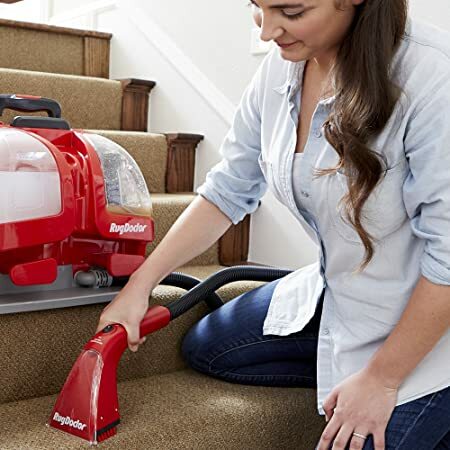 The carpet-friendly wheels allow you to easily move it around the room, and the 15′ cord lets you clean a wide area before having to change outlets.